Anns An Fhaoilleach bha sinn ag ionnsachadh mu dheidhinn Alba. 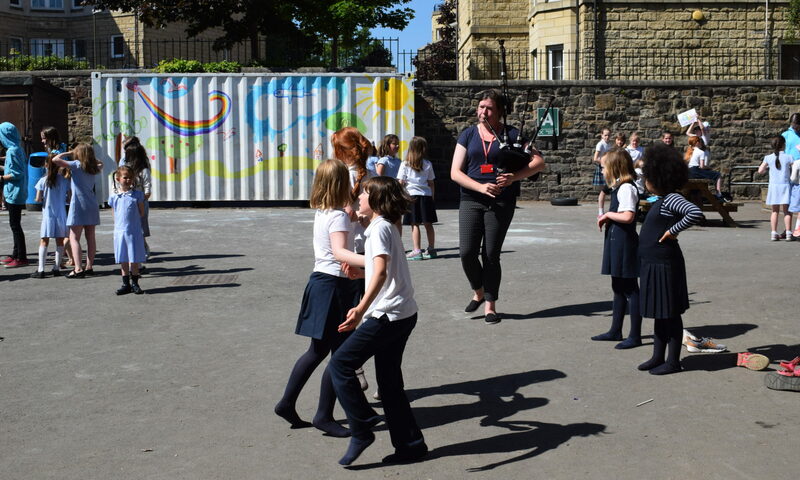 Bha sinn a’ comharrachadh co-là breith Raibeart Burns, bàrd ainmeil na h-Alba. Rinn sinn obair ealain breagha le tartain agus rinn sinn taigeis, sneap agus buntàta airson ithe. Bha Mgr. 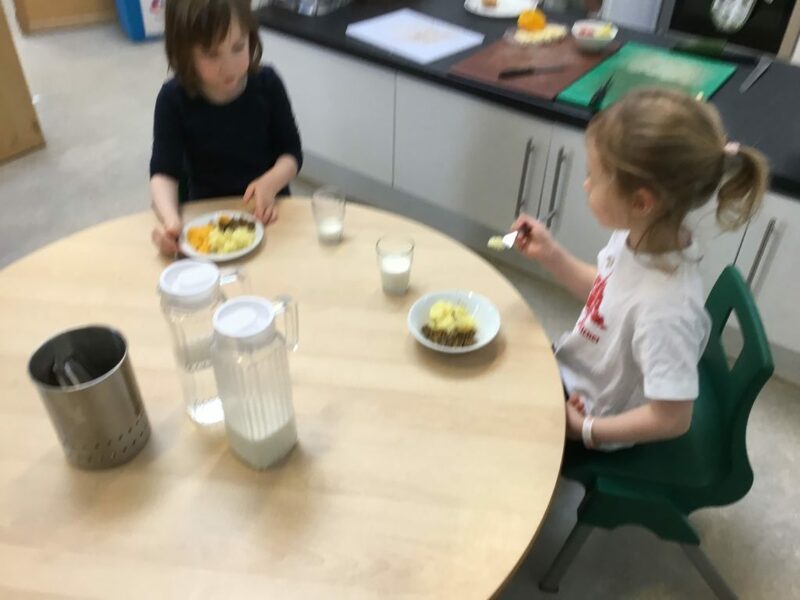 Weir a’ cluich na pìoba dhuinn, bha tòrr mòr spòrs againn a’ dannsa ri ceòl a’ phìob mhòr. 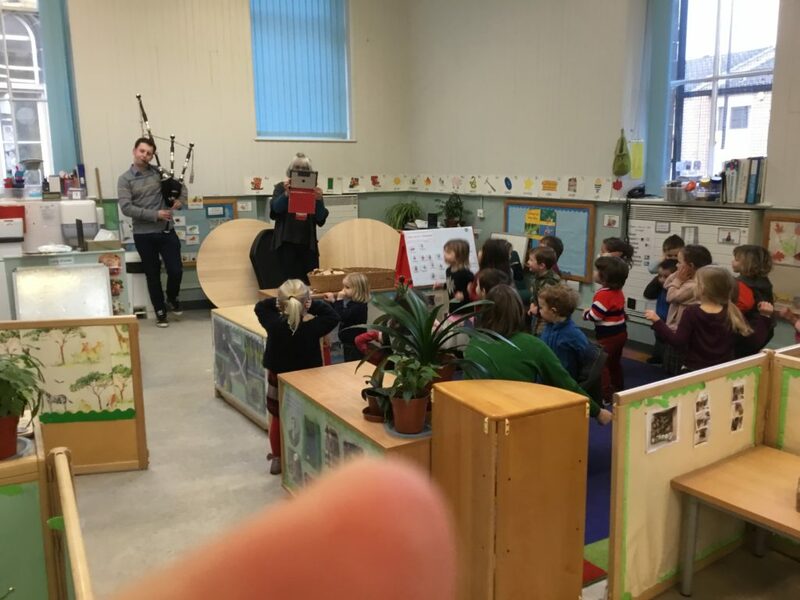 In January we were learning all about Scotland. 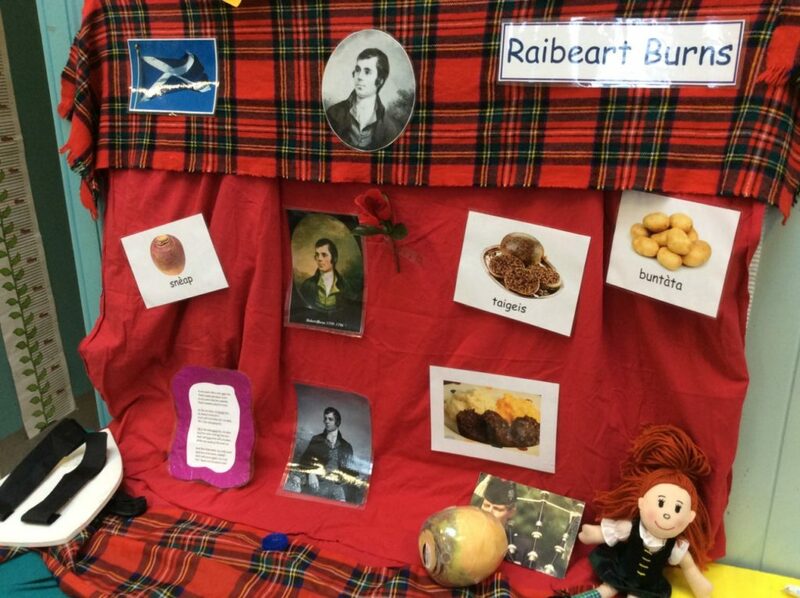 We also celebrated the birthday of Robert Burns, a very famous Scottish poet. We also learnt the poem ‘Oh my Love is like a Red, Red,Rose’. 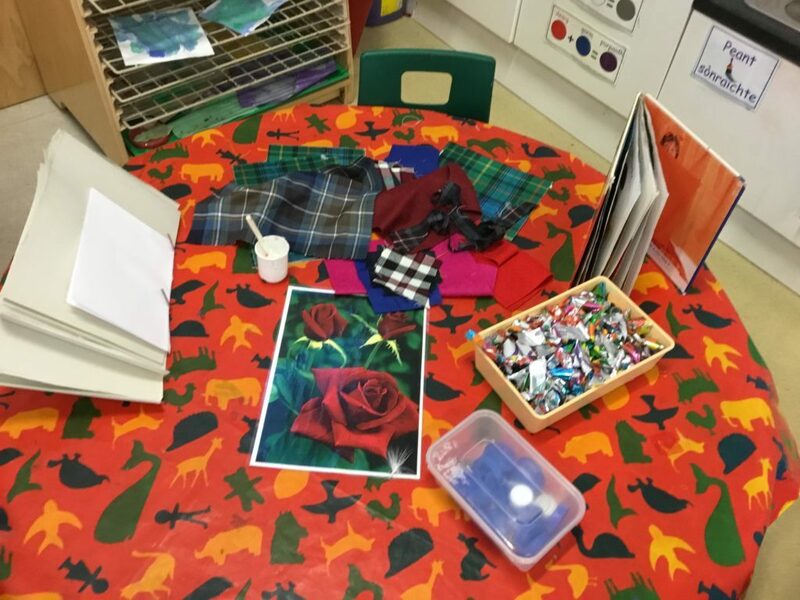 We produced some beautiful art work using tartan and also prepared haggis, neeps and tatties for snack. Mgr. Weir played the bagpipes for us and we had great fun dancing along while he played. 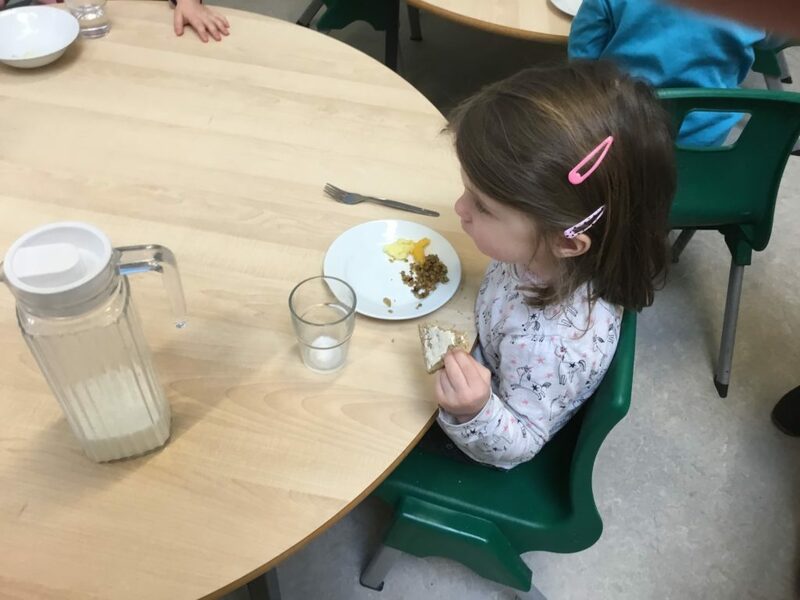 Previous PostPrevious Ag Ionnsachadh Còmhla ri na Buddies againn.